The film stars Lucy Morton as Mickey Miller, a thoroughly modern 12-year-old American girl whose great love is horses. Not surprisingly, she has little enthusiasm for her mother’s plan to take Mickey and her little brother to start a new life in a run-down mill she has inherited in Longwood, a windswept Irish town at the end of the world. Mickey’s presence in Longwood coincides with the return of the Black Knight, a legendary ruler who found no peace after his baby daughter was taken from him, and whose appearances always mean that something evil is going to happen to the villagers. Mickey hears and sees things that others can’t, and forms an immediate bond with Silver, the proudest, haughtiest, most untamable horse in the stalls of a nearby castle. Realizing that she is directly linked to the story of the Black Knight, Mickey and her new friend Sean set out to redeem the knight so as to bring lasting peace to Longwood. But first she must save the lives of seven horses and thwart the evil plans of a greedy, ambitious woman – a mighty handful even for the bravest girl! This was such a beautiful movie filled with a great cast, amazing story line and lovely scenery. I got to watch this with my daughter for a mommy-daughter movie night and it was great to see my daughter show so much interest in this movie. She already has such a love for animals so watching this movie made her love them even more. She loved that there was a movie that starred someone around her age. From beginning to the end this movie was truly captivating. A pre-teen brave heroine who is up against evil and fights to save seven horses. The bond between Mickey and Silver is great to watch and definitely had my daughter now interested in riding horses. This is a great movie for the entire family and will be out on DVD on June 4th and June 9th in Canada. The Legend of Longwood retails for $14.97. 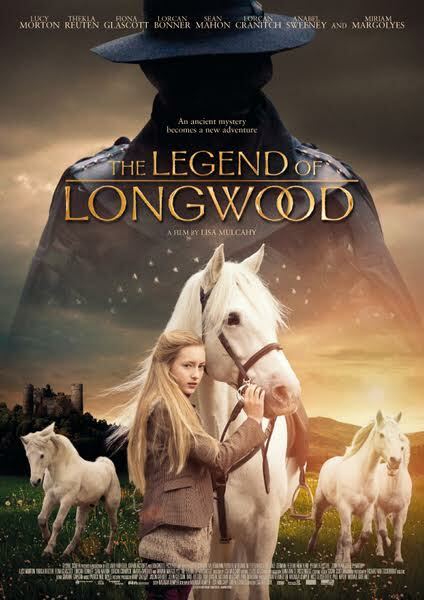 For more information about The Legend of Longwood be sure to head over to www.shoutfactory.com. Disclosure: All opinions are my own. I received The Legend of Longwood on DVD at no cost for the purpose of this review. No other compensation was received.